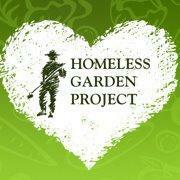 The Homeless Garden Project provides job training, transitional employment and support services to people who are homeless. HGP's vibrant education and volunteer program for the broad community blends formal, experiential and service-learning. The programs take place in our 3-acre organic farm and related enterprises. The capacity of every individual for growth and renewal. The joy that comes from growing and sharing healthy food. The well-being created by vibrant social and natural ecosystems.